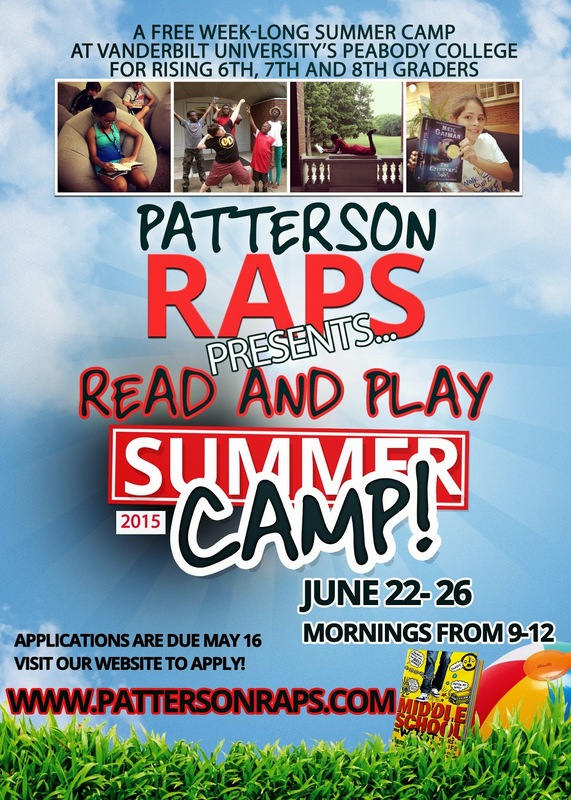 We are now accepting applications for Patterson RAPS Summer Camp. Rising 6th-8th graders are encouraged to apply. The camp will take place June 22-26 from 9am-12pm at the Wyatt Center. CLICK HERE TO APPLY! Mayor Karl Dean joined Patterson RAPS this morning to lead a Between Shades of Grey book club with the seventh and eighth graders. Mayor Dean led a wonderful discussion about Nashville in addition to contributing to a great discussion about the book. He even got to see our literature circles in action! The fifth and sixth graders continued reading Wonder and participated in literature circles as well. After the Mayor's visit, we headed outside to play and enjoy the nice weather in between rain showers. We ended the morning with writing "Where I'm From" poetry. We learned a lot about our students and where they come from through the process of writing these poems. We look forward to compiling our poetry into a book at the end of the semester. 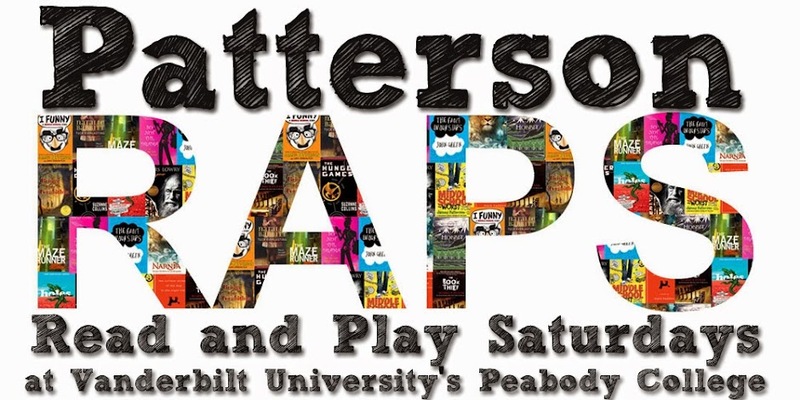 Click here to read the My VU article about Mayor Karl Dean's visit to Patterson RAPS! We had a great first meeting of 2015! We began with students decorating their poetry folders. We then handed out students' new books. The fifth and sixth graders will be reading Wonder by R. J. Palacio and the seventh and eighth graders will be reading Between Shades of Grey by Nashville author, Ruta Sepetys. We began with a read aloud of the first few chapters of each book. Students then had time to read independently, in small groups, or with a graduate student. Finally, students got into groups of three and formed literature circles to discuss what they had read so far. We are looking forward to deepening our book discussions this year through the use of literature circles. After our time spent reading, we had a snack and played some fun Minute to Win It games. The last hour of the morning was spent reading poetry written by famous poets, such as Maya Angelou and Langston Hughes. Students discussed the poems in small groups and picked out stanzas that were meaningful to them. Students also created Heart Maps, in which they added people, places, and things that are meaningful and significant to their lives. We look forward to delving deeper into poetry as the semester goes on. 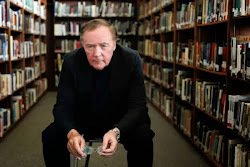 Next time students will continue reading their books and will begin writing original poems.